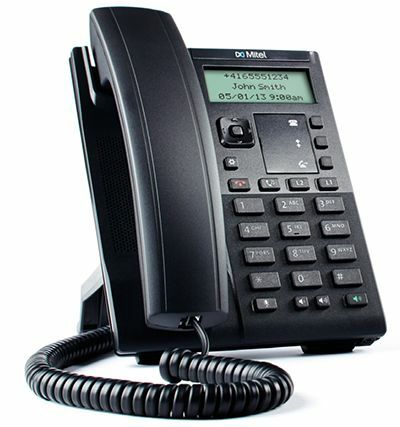 The Mitel 6863 SIP phone delivers remarkable value in an enterprise grade SIP desktop phone. Sleek and modern in design, this two-line SIP phone features a monochrome LCD display, programmable hard keys and a small desktop footprint. The Mitel 6863's true HD handset and speakerphone provide remarkable wideband audio quality. Featuring dual 100 BaseT Ethernet ports with a hardware-based Ethernet switch, advanced XML capabilities for configuration and custom applications, and a PoE Class 1 rating, the Mitel 6863 offers powerful functionality at an exceptional value. All 6800 Series SIP Phones feature Mitel’s high definition Hi-Q audio technology to deliver enhanced performance and voice clarity. Integrating HD wideband audio codecs, advanced audio processing, and hardware components that support a true wideband frequency range, the 6863 offers a superior voice experience on both handset and speaker, making conversations crystal clear and more lifelike. With extensive storage capacity for personal directories, callers logs, redial lists, and three programmable key entries, the Mitel 6863 SIP Phone can improve efficiency by providing more call information with the push of a button. With dedicated hard keys such as Transfer, Callers List, Hold, Redial, Goodbye, Options, two volume keys, Mute (with LED), Speaker (with LED), and a four-way navigation with Select/OK key, the 6863 is easy to use and efficient for your everyday telephone use. The 6863 offers an efficient Power over Ethernet (PoE) Class 1 power rating as a convenient, environmentally friendly alternative to traditional AC power adapters. The 6863 also supports an optional Efficiency Level V compliant power adaptor, if required.